When the Game Changer hit the market in 2016 it changed the way we shoot. Recently, ARCA has begun to make big waves as well. It was time to marry them, and this is the way we think it was meant to be done. 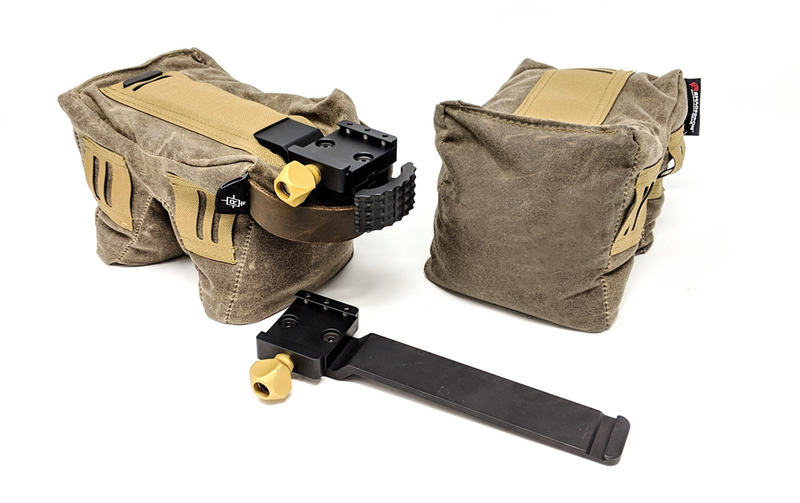 The RailChanger package allows for the use of a Pint-Sized Game Changer with full bag contact against the width of the bottom of the rifle in a secure and adjustable fashion. It can be used in its standard upright position or on its side with this system. The Game Changer bags that come with this system are custom, and feature extra high-strength, laser cut fabric to capture the arm that we created. The arm can also be removed for normal use of the Game Changer. Approximate Dimensions - 8" x 5" x 4"